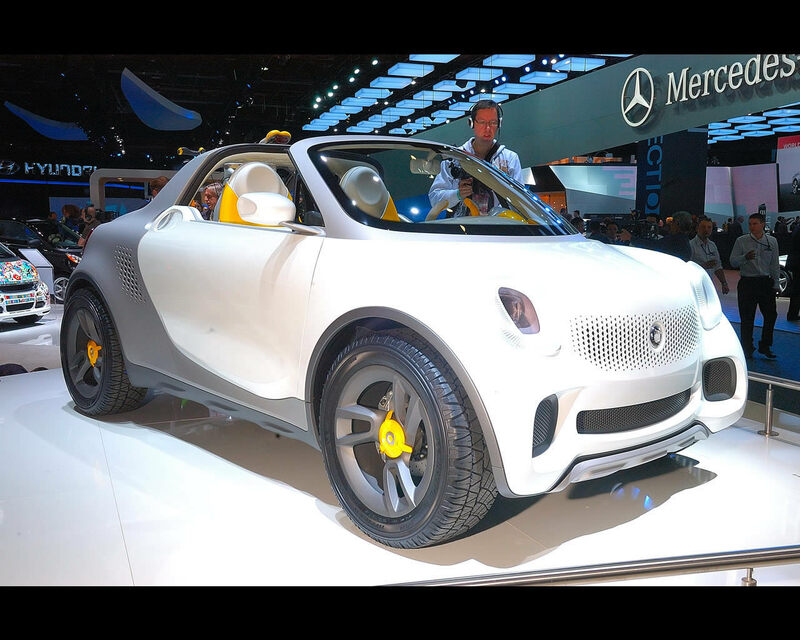 Daimler Benz’s Smart Division introduced an original concept at the NAIAS Detroit Motor Show. The Smart for-us or is it Smart for U.S. (!) 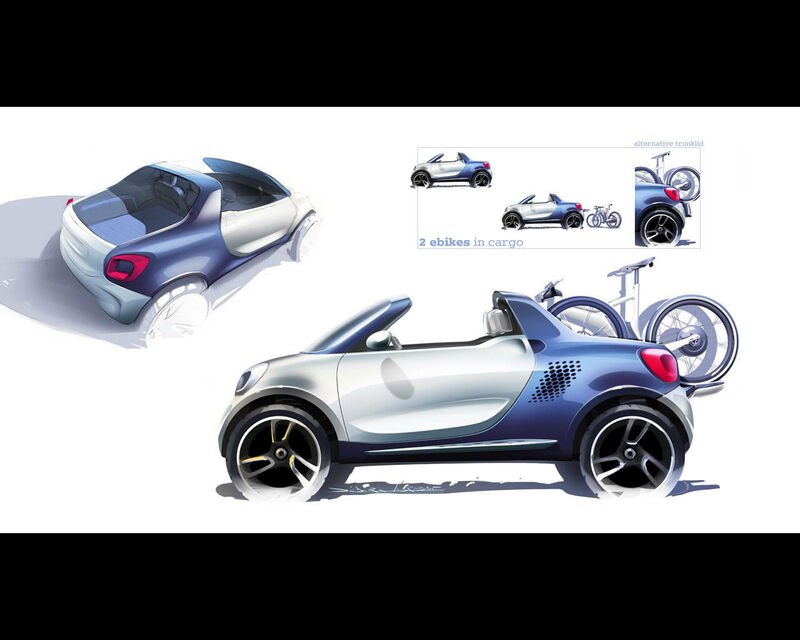 is a proposal for a small urban pick up with electric propulsion. The original two seats vehicle has grown up to accommodate a rear loading deck. 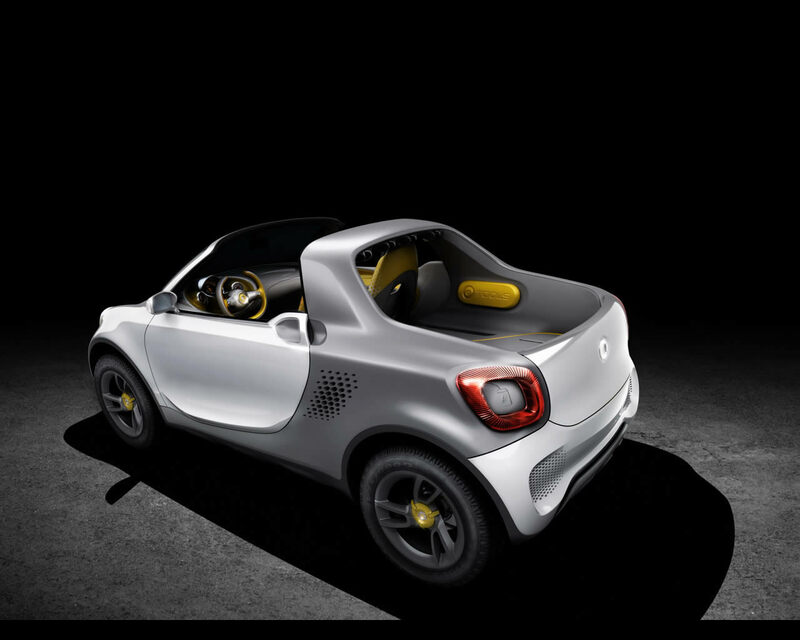 With its exterior dimensions (length/width/height: 3547/1506/1701mm), the Smart for us Concept is 852 mm longer than production Smart that is a 30% extension. The longer wheelbase (2480 mm/plus 613 mm) and the track that has been widened by 50 mm on each side also emphasise the robust look of the study. 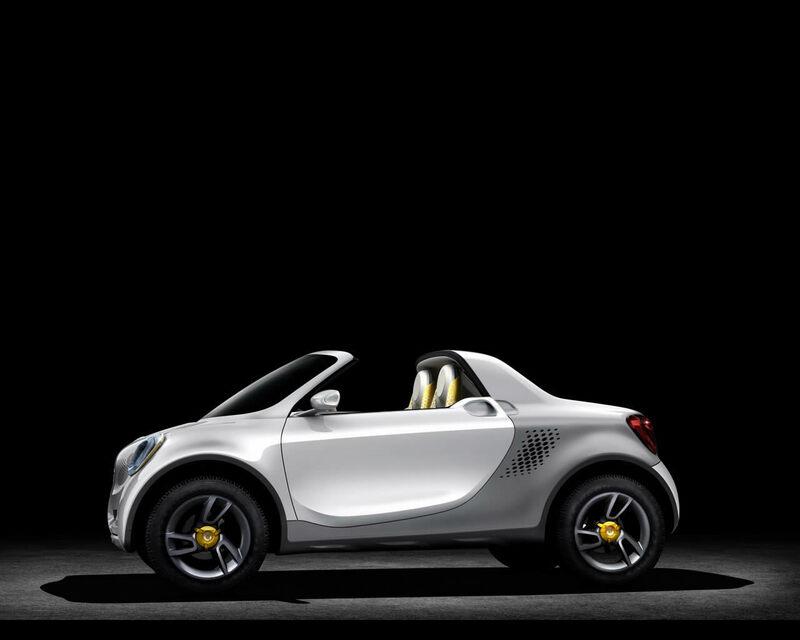 At the same time the extremely short overhangs at the front and rear make it exceedingly compact. Sleek, taut surfaces in mother-of-pearl white combined with precisely designed technical functional elements in brushed aluminium – the interior is characterised by contrasts. 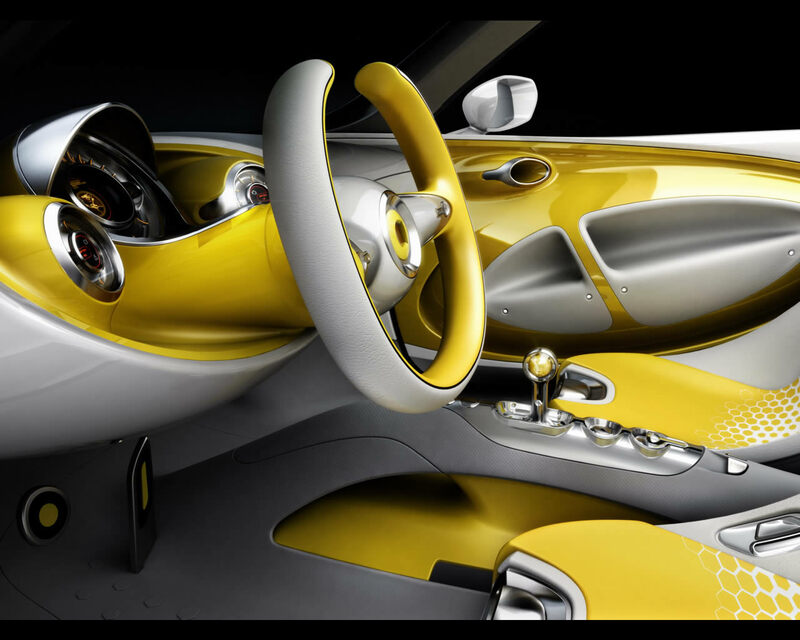 The whole cockpit boasts aerodynamic styling for interior ventilation. In place of a conventional rear-view mirror the smart for-us features a smartphone accommodated in a holder on top of the instrument panel support. The driver can see what is happening on the road behind with the help of an integrated video camera. We wonder whether such a size extension should better allow a multipurpose closed body; in an urban utilization, the driver might not want leaving goods in an open deck in a parking lot.